Bukidnon (; officially, the Province of Bukidnon: Cebuano: Lalawigan sa Bukidnon; Filipino: Lalawigan ng Bukidnon) is a landlocked province in the Philippines located in the Northern Mindanao region. Its capital is the city of Malaybalay. The province borders, clockwise starting from the north, Misamis Oriental, Agusan del Sur, Davao del Norte, Cotabato, Lanao del Sur, and Lanao del Norte. According to the 2015 census, the province is inhabited by 1,415,226 residents. 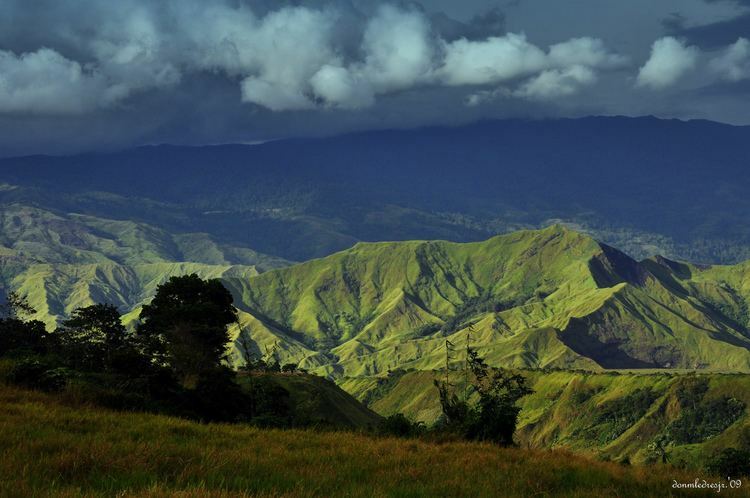 The name "Bukidnon" means "highlander" or "mountain dweller". The province is considered to be the food basket of Mindanao, being the major producer of rice and corn in the region. 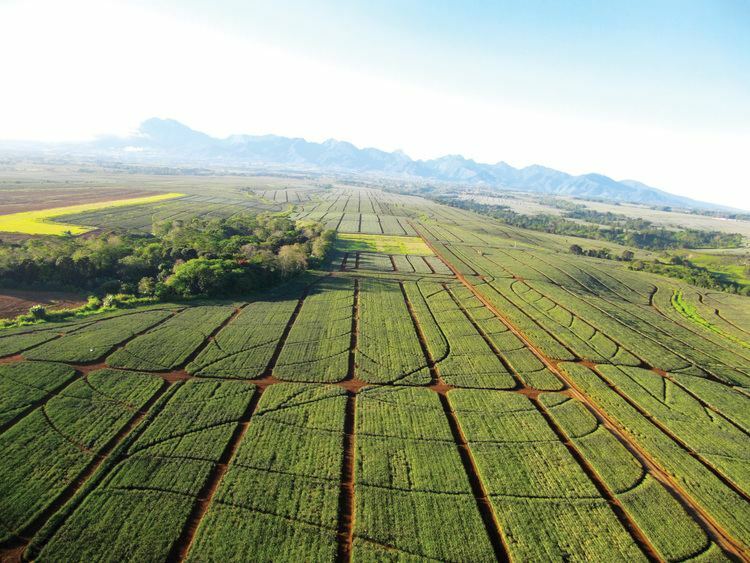 Products from plantations in the province also include pineapples, bananas and sugarcane. Situated within Bukidnon is Mount Dulang-dulang, the 2nd highest mountain in the country, with an elevation of 2,938 metres (9,639 ft) located in Kitanglad Mountain Range. Mount Kitanglad (2,899m. ), Mount Kalatungan (2,860m. ), Mount Maagnaw (2,742m. ), Mount Lumuluyaw (2,612m.) and Mount Tuminungan (2,400m. ), the 4th, 5th, 8th, 17th and 30th highest mountains in the country respectively, are also found in the province. There are no seaports in the province because the place is landlocked. On the other hand, the former Malaybalay Airstrip which used to serve the general area of the province was closed down during the late 1990s and the area where the airport used to be located was converted into a low-cost housing project. To get to Bukidnon, one must travel by land either from Cagayan de Oro City, Davao City, Butuan City or Iligan City. A proposed domestic airport site in the municipality of Don Carlos has already been on the talks since 2008 and in 2013, the proposal was finalized. Budget allocation was done in 2017 and construction date is yet to be determined. Bukidnon became a part of Misamis in the latter part of 1850. 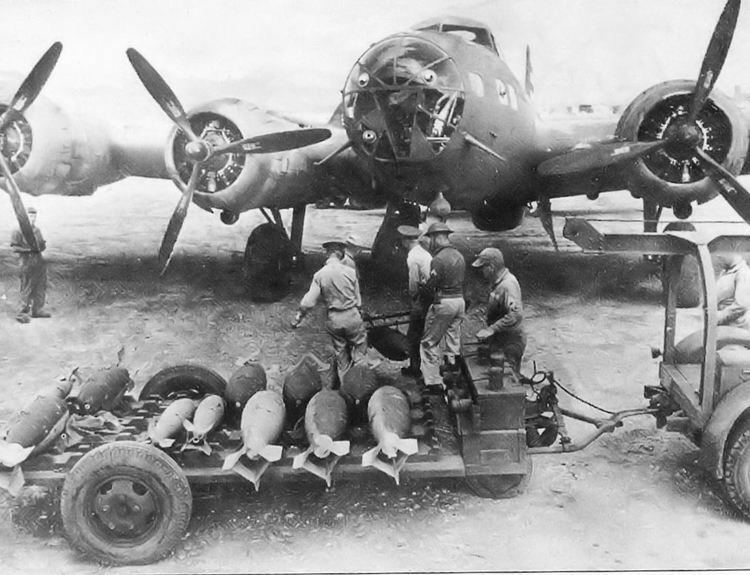 The whole area was then called Malaybalay and the people were known as Bukidnons (highlanders or mountain dwellers). The Philippine Commission, then headed by Commissioner Dean C. Worcester, Secretary of Interior, proposed the separation of Bukidnon from Misamis Province. On August 20, 1907, the Philippine Commission Act No. 1693 was enacted the Province of Agusan and sub-province of Bukidnon. Bukidnon became a regular province on March 10, 1917 by virtue of the creation of the Department of Mindanao and Sulu under Act 2711. According to oral history of the indigenous people of Bukidnon, there were four main tribes in Central Mindanao: the Maranaos who dwell in Lanao del Sur, and the Maguindanao, Manobo and Talaandig tribes who respectively inhabit the eastern, southern, and north-central portions of the original province of Cotabato. When the civil government divided central Mindanao into provinces at the turn of the 20th century, the groups included in the province of Bukidnon are the Talaandig and the Manobo. The Visayans, particularly the Cebuanos and the Hiligaynons migrated into the province followed by various groups from Luzon, namely, the Ilocanos, Tagalogs, and merchants and wealthy businessmen from Northern Luzon like the Igorots and the Ivatans. All contributed massive acculturation among the indigenous tribes. Most of those who moved to the mountains and forest continued to hold on their ancestors’ cultural heritage. The wide variety of Filipino groups now thrives in the province and contributed immensely in the socio-economic development. The province has 464 barangays under its jurisdiction. The table below shows the Top 15 Largest Barangays according to population. Many of the population, however, are recent Christian immigrants from Cebu or elsewhere in the Philippine archipelago. Majority are Christians (predominantly Roman Catholic, 80.7%). The lingua franca of the region is Cebuano. Also spoken, although at low percentage, are Binukid, Hiligaynon/Ilonggo, Tagalog, Maranao, Ilocano, and Waray-Waray. English is generally understood and is widely used in schools, business and government offices. 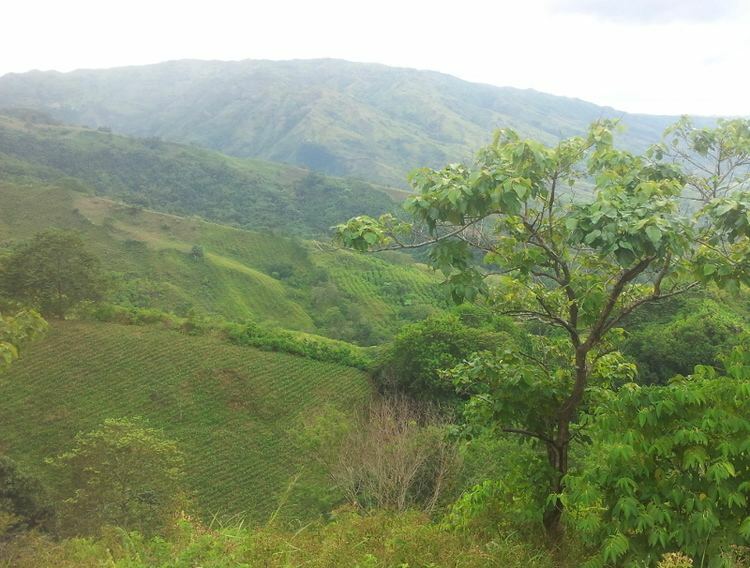 Bukidnon is an agricultural economy. It is a major producer of rice, maize, sugar, coffee, rubber, pineapple, banana, tomato, flowers, cassava, and other fruits and vegetables. It is also a major producer of poultry, hogs, goats and cattle. Almost all large firms operating in the province are into production or processing of these agricultural products. Dairy products out of water buffalos are being produced at the Philippine Carabao Center's outlet in Central Mindanao University. Due to being landlocked, Bukidnon relies on the nearby cities of Cagayan de Oro, Iligan and Davao for the supply of marine products, however the province has its own supply of freshwater products via fry production aquaculture in inland fish farms such as tilapia, carp, catfish, mudfish, goby, silver perch, freshwater eels, crayfish, giant freshwater prawn, cultured native freshwater molluscs and freshwater crabs. Bukidnon has already assumed its role as producer and supplier of fresh fruits and vegetables. These produce are either sold in domestic markets or exported to Japan and other neighboring countries. Fresh pineapples, banana, sugarcane and cutflower grown over the years are among its exports. New agri-business industries are still growing. Even export of rubber boots and shoes, an infant industry in the province is increasing tremendously. 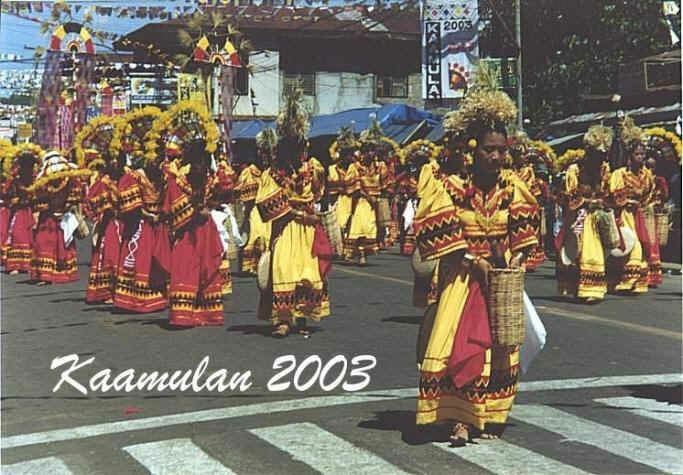 The province celebrates the Kaamulan Festival, an ethnic cultural festival held annually in Malaybalay City, Bukidnon from the mid-February up to March 10, the founding date of the Bukidnon as a province in 1917. It is held to celebrate the culture and tradition of the seven ethnic tribal groups—Bukidnon, Higaonon, Talaandig, Manobo, Matigsalug, Tigwahanon and Umayamnon—that originally inhabit the province. Kaamulan comes from the indigenous Binukid word amul meaning "to gather". Kaamulan is gathering for a purpose—a datuship ritual, a wedding ceremony, a thanksgiving festival during harvest time, a peace pact, or all of these together. The festival started in 1974 and is celebrated until now.